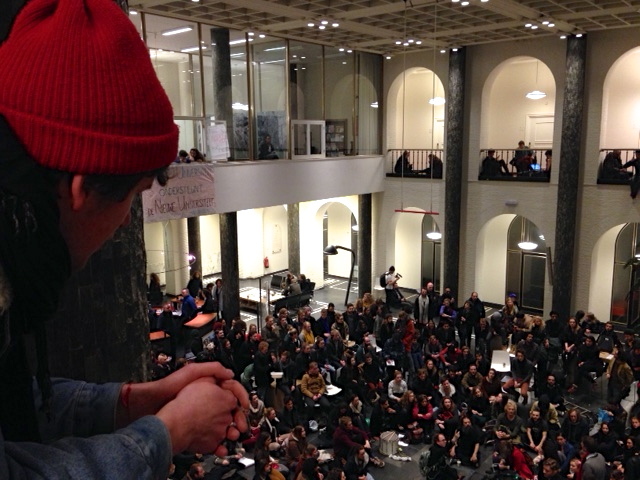 On Tuesday, students who were occupying the University of Amsterdam’s Bungehuis building as part of the ongoing protests against the draconian cutbacks at the university’s Faculty of Humanites were expelled by the police. They university’s governing board had already threatened them with a 100,000 euro fine per capita. On Wednesday, the students took over the UvA’s headquarters, the Maagdenhuis, was famously occupied in 1969. For the time being, the protesters and occupiers are almost exclusively humanities students, since this is the department that is currently being threatened. Making the protest more general will likely be as big a problem as it is at the VU, my own university, where an occupation of the VU’s church hall at the faculty of Earth and Life Sciences last fall seemed to interest practically nobody outside it. Politicization sets in, if at all, when the threat is imminent, and when it is almost certainly too late – at least if the protest remains local and containable. However, the events are certainly developing a dynamic that might give rise to the unexpected and the truly eventual. Even if you weren’t there, you could get a sense of this via the online video stream from the Maagdenhuis on Wednesday night, when the occupiers debates among themselves and with university board members and the mayor of Amsterdam. To paraphrase my former student Roel (seen above in the red hat): while the revolution will not be televized, the revolt is being live-streamed, linked and liked. Regular updates are here and here and here. 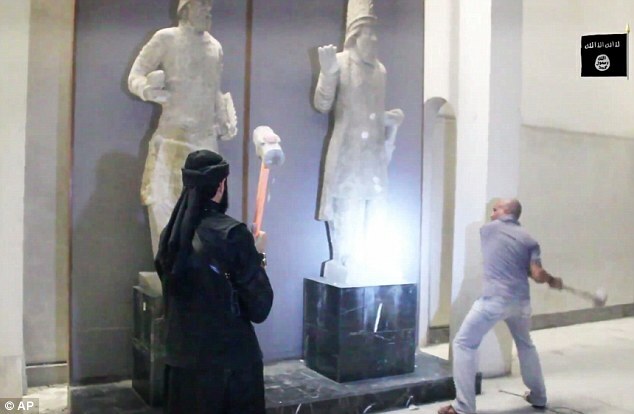 Why destroy the real thing if you can sell it after having staged a spectacle of destruction?